Picture This Advertising may have a large majority of our clients as commercial business owners, however, that does not mean we do not LOVE working on personal vehicles! Check out this fantastic design and installation done on a personal vehicle for a couple that could not have been better clients! From your business vehicle to your personal every day car, let Picture This make sure your vehicle wrap stands out! We all know that looking like a professional business makes a difference in how our current customers perceive us. However, did you know that not looking professional can have an adverse effect on getting new clients? Studies show that 90% of all purchasing decisions are made subconsciously. On top of that, over half of consumers report that they have avoided a business because it looks like it would be dirty. Most telling though is that 95% say that the exterior of a business has a lot to do with if they will shop there. This is so important to remember when it comes to how you present your company through advertising. 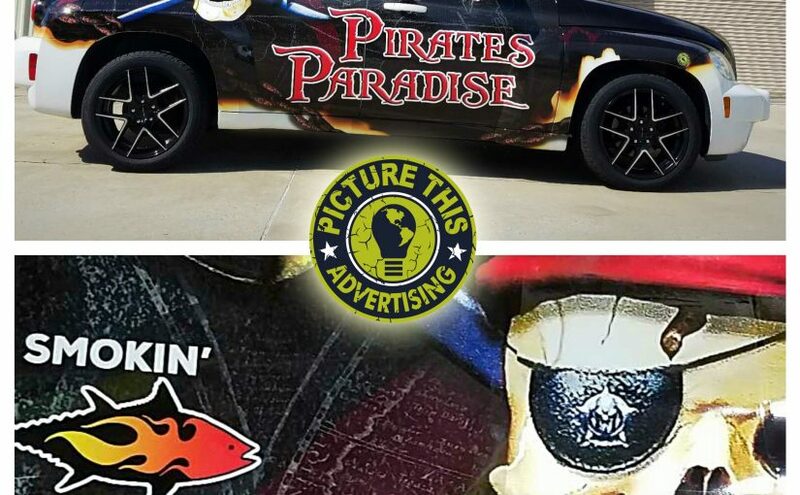 If your vehicle wrap is the first thing your potential client sees and it leaves a bad taste in their mouth, since most purchasing decisions take 2.5 seconds, you may have sold yourself out of a sale. 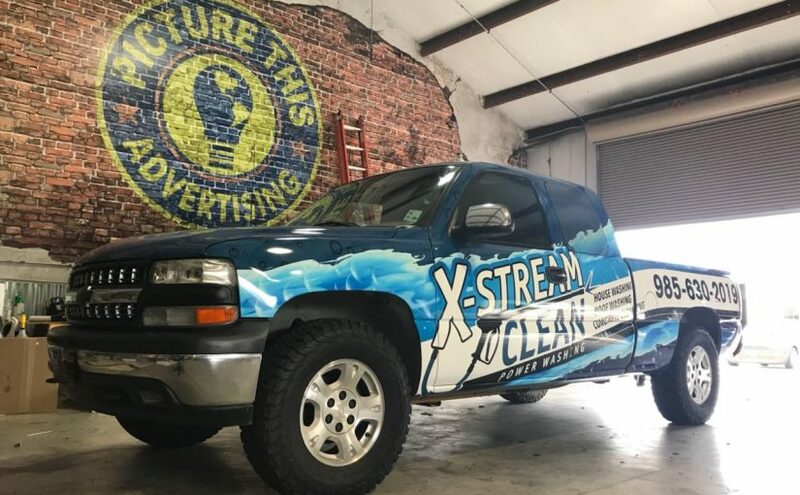 Maintaining a professional looking wrap is an easy way to make sure your potential clients know they can trust your business to take care of their needs. After all, how could they trust a company with their things, when the company cannot take care of their own things? Interested in knowing more? Call Picture This Advertising now to learn more! Here at Picture This, we love doing wraps for our business clients, but some of our favorite projects are personal vehicles! 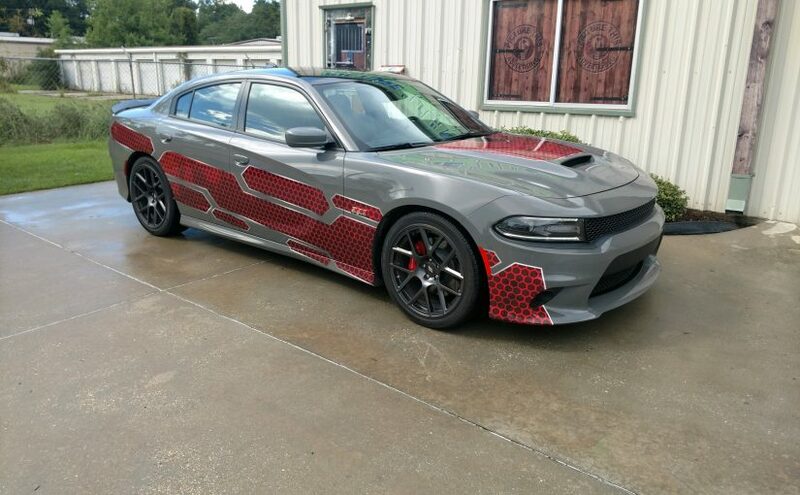 This is a wrap we recently completed on an HHR. We love the way that this came out. 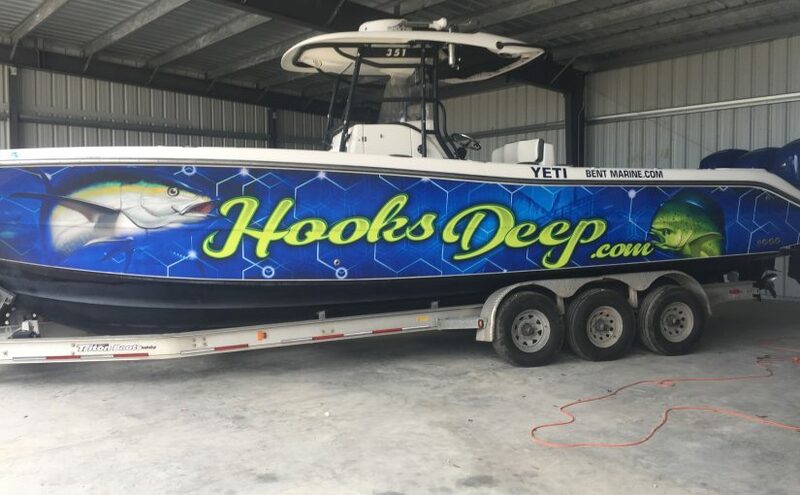 This is our most recent Boat Wrap and we absolutely love the way it came out! We did this wrap for Premier South Roofing. 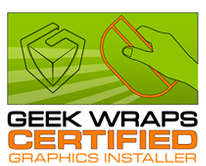 As with all of our wraps, we went through our process of first quoting the job. Then, upon approval and a deposit from the client, we get a mock-up, or digital proof of the design, ready for our client. Usually, we have to go through at least one round of revisions to get the exact look our client is looking for, but we will work hard to make sure that no matter how many revisions, we make the client happy! Then we get to the fun part!! We schedule the job and get to wrapping. By far our favorite part is seeing the look on the client’s face when their design is realized in person!